Military families need resources. Of course we are knowledgable, but every move and every duty station is different. For example, I know a great deal about a handful of bases but know nothing at all of the many other military installations across the country. Military Town Advisor, however, allows us to use the knowledge of other military families to research those areas that we're not so familiar with when it's time to PCS. 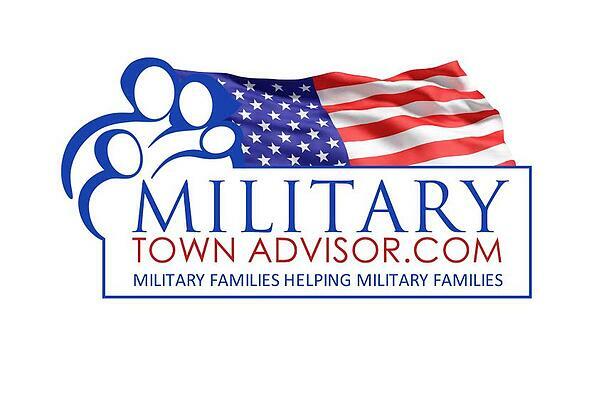 Military Town Advisor understands the needs of military families and enables them to connect and educate one another about military towns. People living in a particular area write reviews to provide information regarding the installation, local neighborhoods, schools, and real estate agents. Military Town Advisor provides with us with the same insight that our best friend would! So how does it work? Exlore your new assignment. Start with Military Town Advisor's search feature to enter the military installation that you'll be moving to and also specify the mileage around the base from which you'd like to see neighborhood, school, and housing reviews. Read the expert reviews. Those who've lived at the duty station prior to you are the ones writing the reviews, so they have first-hand knowledge! From here, you can get a general idea of places worth looking into and places to avoid, and a sense of where to start your house hunting. Are you motivated to find a home near the best school in the area? Or maybe closest to base? The reviews provided on Military Town Advisor give you details about these areas prior to your military relocation. “Pay it forward.” After benefiting from the resources provided by Military Town Advisor, be sure to “pay it forward” and write a review of your current duty station and the surrounding areas. If you lived through a horror story, make sure you share it so you can save the next person from making the same mistake. And if you've had a great experience, share that, too. You never know when your insights will be appreciated by the next family moving to town! Recommend or find a military friendly Realtor. Finding a military friendly Realtor when you need one can be a challenge, but they are easily identified on Military Town Advisor. A special logo denotes Realtors who are military spouses, veterans, or Realtors who have military clients who've personally recommended them. Realtors cannot purchase the logo; it must be earned through referrals. Finally, read the Military Town Advisor blog! The MTA blog is broken down into two sections: “Moving Tips” about moving, renting, selling, and home buying and “Things To Do” describing places to visit across the United States. Both Military Town Advisor and MilitaryByOwner hope to equip you with the knowledge and resources necessary to make your move easier and your adventure as a military family more rewarding. Happy researching!